Boxing, for all the nutritional ‘scientists’ that she now employs, remains a young man’s sport. The exceptions remain exceptions, they should not be held up as the new normal. At the weekend, as soon to be 32 year old Khan climbed off the canvas for the umpteenth time, with the perennial rival, 32 year old Kel Brook looking on, boxing reminded those who may have forgotten this fundamental truism. As the lights dimmed on an enjoyable Matchroom Sports card in Birmingham, fans turned to Twitter to venture their opinions; from the erudite to offensive, Khan draws that kind of discourse regardless of his performance, before turning their attention to the all American Welterweight clash between Danny Garcia (30) and Shawn Porter (30). The fight was enjoyable, if not thrilling, and while I declare a pre-fight preference for the style and precision of Garcia which likely skewed my assessment of their fight, I thought he deserved the decision. It was fiendishly close and I wouldn’t contest Porter’s victory. What was notable, as this idea of the false promise of eternal prime the milk shake soothsayers and strength and conditioning coaches appeared to have encouraged percolated, was the gathering of fight faces at ringside. Cameras repeatedly turned to Keith Thurman (30) and Errol Spence (28), as well as Mikey Garcia (30) who himself wishes to venture to Welterweight. Alongside them were the Charlo brothers Jermain and Jermal, and Jarret Hurd the giant Light Middleweight. The narrative put forward by the commentators focussed on the prospect of matches being made between those names, with the addition of Terence Crawford (30), Manny Pacquiao (39) and, inevitably, Amir Khan too. All of the permutations contained there would please any fight fan. 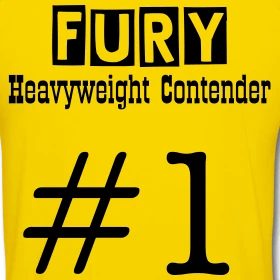 Some are easier to make than others, some fighters will be more keen, more confident in pursuing them but one very clear thought emerged as I’ve contemplated those names. Ray Leonard fought Benitez, Duran and Hearns before his 26th birthday.